College can be a stressful time. Money can be a stressful topic. Combine the two and you’ve got the makings of a cheesy horror film – you know, the one’s where the characters make shockingly horrible decisions over and over and over again, blissfully unaware of the results of their decisions. We all know them, and we know their stories don’t generally end well. They end with the main character almost universally suffering some sort of great harm, only to barely escape and live to tell others about it. Well, that same main character, the one in the above story, that’s me. I’m the guy who (unknowingly) made horrible decision after horrible decision, survived, and now I’m here to tell you about them. Not because college is hard. And not because money is hard. To the contrary, sometimes they can be deceptively easy. That’s where the danger lies. Today, I’m going to share with you five lessons I wish I’d learned about paying for college, so you don’t make the any of the same ghastly mistakes I did. This should go without saying, but it’s something that I, and many like me, never did. You see, I had parents that were enablers. They were beyond kind, and they loved me dearly, but they didn’t do me any favors by not including me in a more meaningful way when it came to obtaining my student loans. Students, listen to your parents. They have life experience that will prove invaluable when discussing the intricacies of your loans. Parents, involve your students. Giving them access to “easy” money is a missed opportunity for conveying the gravity of what they’re undertaking. This is the mandatory first step for everyone involved – educate yourselves on the differences between college grants, financial aid and student loans, and scholarships. Simply getting into the college of your dreams is exhausting. Hours upon hours of applications can drain the life out of you. But don’t grow weary and accept the first money offered to you without fully understanding the interest rates, origination fees, and repayment schedule associated with it. Knowledge is power. Fully understanding the moving parts of your loan, specifically what is happening your interest and principal balances while you’re in school, will go a long way in guiding your repayment strategy. I let my student loans accumulate an additional $25,000 in interest while in school because I was naïve to the fact compound interest can apparently work against you, too. An avoidable mistake I could have mitigated (or even eliminated) by simply making small payments while in school. Student Loans Aren’t Bad, but Don’t Wholly Rely On Them. This was absolutely my biggest mistake. While financial circumstances among college attendees are not all the same, I made mine worse by taking absolutely no initiative when it came to paying for college outside of student loans. To be fair, there wasn’t much for me to really do. My mother did me the enormous favor of helping get all of my student loans (all $114,101.59 of them) squared away before ever setting foot on campus each semester. I don’t mean that sarcastically either. It truly was a huge help. The huge downside was that it kept me in the dark to the reality playing out behind the scenes. You don’t know what you don’t know. Unfortunately, students loans were my only option. Due to my parents’ income, I wasn’t eligible for any other type of financial aid and there was really no money saved to pay for me to attend college. This is not a great position to be in. My parents’ great credit history enabled me to overcome this catch-22. By leveraging it, I immediately became eligible for every loan I applied for – despite no credit history of my own – all because they co-signed. It truly was “easy” money. (I don’t think my parent’s even fully understood the financial risk they were taking on. They, like so many Americans, assumed that once I graduated from college, I’d just pay the loans back). But having access to easy money didn’t stop after four years at a popular state university. It took me four and half years, and then, given my relatively restrictive choice in major (biology), I made the unenviable choice to go back and get my associate’s degree in nursing – and then back again for my bachelor’s in nursing. Nine total years of deferred payments. Nine total years of deferred interest. $100,000+ in loans that landed me an entry-level job making $36,000/year. I should have thoroughly researched available grants. I should have looked for and applied to applicable scholarships. I should have left no stone unturned. Anything to reduce what became almost four years’ worth of salary. Be unashamed in your avoidance of student loans. Then, when you have no other options, use them to fund the difference. And on that note, nor was community college. You see, I had the opportunity in high school to accumulate significant college credit due to AP classes. I even took AP classes to take advantage of GPA benefits – up to 5.0 on a traditional 4.0 scale. What I did not do, however, was actually take the AP exams to get the college credit. That is the epitome of stupid. Apparently my Saturday afternoon plans back in high school were more important. If understand the extra workload associated with AP classes, and are comfortable in taking it on, consider taking classes you know might benefit you later. Sciences, English, math, and even foreign languages – nearly all of them are stepping stones to a college degree. Be responsible with your course load, but even a few credits carrying over can save you thousands of dollars. And where AP classes fall short, you can pick up those credits by attending community college. At nearly ⅓ the cost of the average state university, any credit you acquire towards a planned degree can result in large cost savings. Dual enrollment programs. May vary widely by state depending on pre-arranged relationships with local community colleges (some classes can be taken online, at local campuses, and even within your high school itself during your normally scheduled hours). Take college classes (at a local community college) while in high school. This will again vary by state but some students may choose to fast-track their college experience by taking classes at night, on weekends, or even the summer before a traditional degree program begin. If you have your heart set on a four-year school, consider finding a local community college and looking at their transfer guide. With dual enrollment, you can knock out dozens of credit hours at a fraction of the cost, helping to reduce your loan principal by possibly tens of thousands of dollars. Related: Paying for a Brand Name College or Not? I applied to University Studies. Alias: undecided. Aka, no school at all. At the particular college I attended, you were required to apply to individual schools within the college to officially pursue a degree. For instance, if you wanted to become an engineer, you applied to the School of Engineering. If you didn’t explicitly declare a major, you were placed into a University Studies degree program which allowed you to “explore” several different degree programs. This, however, is a bit of a trap because it leads you to take more classes (and spend more money) than you would have had you declared a major earlier. For example, I got the brilliant idea that during the first two years of school (of my proposed four-year experience), I was going to take all the prerequisites required to get into my school’s respective Business, Engineering, and Science colleges. That way, when I finally figured out what I wanted to do with my life, I could select the school that made the most sense for me. That’s a super great idea in theory. Until you’re way behind in every. Single. Program. About halfway through my sophomore year I finally settled on majoring in biology. Since I hadn’t taken all of the biology classes most declared majors would have up until that point, I decided to take summer classes to catch up. A few summer sessions later I had closed the gap, but still had to take a higher than average course load throughout my junior year to fully catch up. You see where the student loan addiction is starting to come in? Easy money made it easy to keep taking classes while the bills kept racking up. Not everyone knows what they want to do in life by the time they turn 18. And if you end up switching majors, that’s okay. But have some semblance of a plan for what you want to do. Throwing dirt at the wall and hoping something sticks is definitely not the right the approach when it comes to taking college classes. It winds up being some really, really expensive dirt. Or a side hustle. Anything you can reasonably do to generate income while you’re in school. Look for common sense ways to save money. Anything you can do to start stashing away money beyond the everyday expenses you need to get through school. Think of it as a retirement fund for paying back your school loans. The account is made of lava and you’re not allowed to touch it – unless it’s to pay off interest or loan principal. Now, that said, work shouldn’t get in the way of classes. Your primary “job” is to complete your degree to the best of your ability so that you’re well-positioned to hit the job market running. A few hundred dollars coming in each month will give you extra breathing room, but trading work for school defeats the purpose of higher education in the first place. Start slow and set firm work/hour boundaries with your boss. If your time management skills hold tough, you can gradually increase your hours to continue helping offset the cost of college. Being shielded from the student loan process pulled the proverbial wool over my eyes to how to world really works. I ended up taking the “out of sight, out of mind” approach to my loans and that proved costly. When it was all said and done, I had earned two bachelor’s degrees, but I paid an additional $25,108.59 in interest and the balance only stayed that low because I was exceptionally aggressive about paying them off. But it didn’t have to be that hard. I made a lot of very avoidable mistakes. Choosing loan-only funding opportunities, picking the wrong “school”, changing majors, and going for far too many semesters – it all added up. Needless to say, this horror movie isn’t one I’d like a sequel to any time soon. 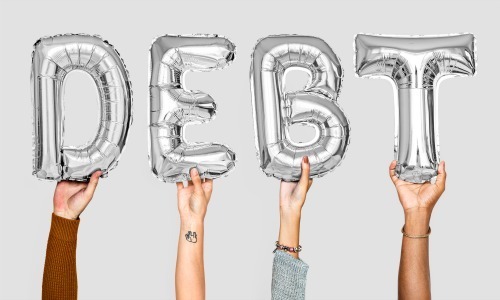 This post was written by Ben Huber, student loan debt survivor and personal finance writer for DollarSprout, a personal finance blog devoted to helping readers achieve financial freedom through sensible money management and investing. Follow him @vtgrad2010 for more money saving tips and humorous pictures of his dog Sydney. Older PostHow Ethical is Your College Counselor?